This week's Gallery post request is for photos of 24 hours. Don't take the decision not to breastfeed lightly... Why? My life is defined by washing, sterilising and making bottles. Here's some I made earlier (or rather, last night). I should be in bed but I am playing with the remote control. These biscuit wrappers are cooooooool! But as usual, Mum found a solution... she gave me a rice cake and I tucked in... bad mood forgotten. Dangerous leaving me near the airer - I had a riot! Sophie, help me spring out of this chair. This strap seems to be what's keeping me here! Still trying to get out! 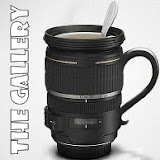 Get over to the Gallery host - Sticky Fingers - to see the other 24 hour blog posts. Click on the image below. Sounds like you had a busy day. Hope it went well at work - I'm not looking forward to my meeting at work (to ask for flexible working!). What a great post. Fabulous pictures! I did and even went to the scents website where none came up when I clicked on browse and same on "buy"